Manuela Vivaldelli uploaded an image. 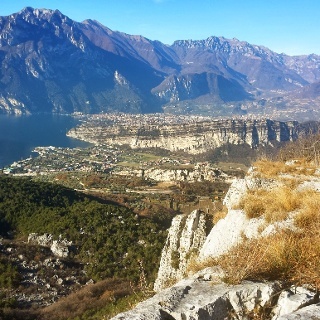 Start out with a hike through the valleys and mountain hamlets of Garda Trentino on little-frequented trails and country lanes and enjoyed the quietness of the route. 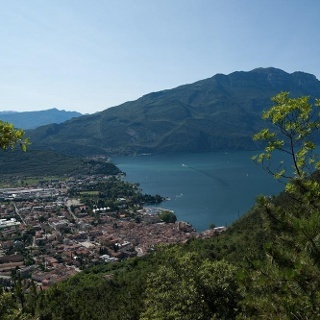 The first stage winds across the western part of Garda Trentino, for the most part in a mountain environment. Leaving the lake at your back, you head uphill to the north and pass through woods and farmland around the villages and towns. This trek can normally be done all year round, but in the winter months you might come across some snow on the way. For this reason you should check the conditions of the trail if you are thinking of doing it from November to March. In this period it's advisable to check as well the opening of moutain huts and accommodation along the route, as they might be closed. You need to be wearing the right clothing and take the proper gear when you go hiking in the mountains. Even on relatively short easy outings make sure to take all you need so you don't run into trouble if things take an unexpected turn, for example a storm blows up or you have a sudden drop in energy levels. What should you take when you go on a hike? Make sure you're wearing the right footwear for the trail and season. The going can get rough and rocky underfoot and a pair of hiking boots will protect you from sprains. When wet, a grassy slope, rocky slab or steep trail can be dangerous unless you are wearing the proper footwear. ... don't forget to bring your camera! 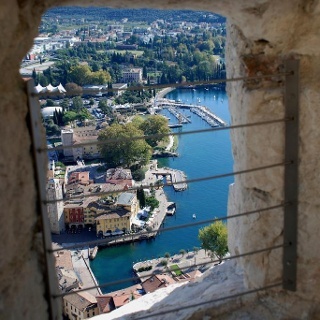 You'll need it to capture the stunning views you come across all over Garda Trentino. And if you like, you can share your memories with us at #GardaTrentino. The trail touches on some points which are definitely worth a visit. Just above the little town of Campi there is the archaeological site of San Martino where you can visit the remains of an ancient village beside a place of worship dating back to Pre-Roman times.The Magnone stream which you cross to go up to Ville del Monte has gouged out a ravine here which is renowned for the colour of the rock and its lush vegetation. Canale di Tenno is a medieval village (mentioned in documents as far back as 1211) which belongs to the club of the Most Beautiful Villages of Italy: with its stone houses and narrow alleyways, time seems to stand still here! The arrival point for this stage is the mountain hut Rifugio San Pietro which was built on the foundations of an ancient hermitage. The chapel which is still in use is open to visitors. From via Monte Oro in Riva del Garda, take the trail SAT 402 up tothe little church of Santa Maddalena. From there, walk downhill to Foci/San Giacomo and, at the crossroads, turn left following the trail SAT 434 "Claudio Fedrizzi". It will take you to the little village of Campi and, a little further uphill, to the archeological site San Martino. 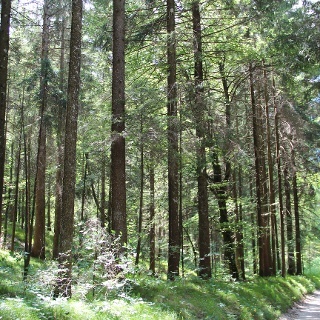 After visiting the site, follow the trail SAT 434 backwards to Campi, till you meet the main road. Take it in direction Pranzo (downhill); after a short distance, turn right onto a trail which takes you first to Pranzo and then (Sentiero di Prà) cross the ravine of the Magnone stream and head up the other side of the valley to Ville del Monte. 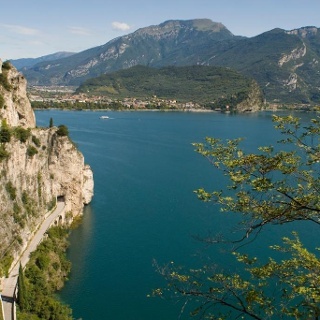 It only takes a few minutes to get to Canale, a medieval village classified as one of the Most Beautiful Villages of Italy and – following signposts for SAT 406 – you come to Lake Tenno, which you can admire from above. Continue on the dirt road until you come across the signpost for SAT 406A, then follow this trail into the woods until you come to the dirt road for Bastiani. Here you go back onto SAT 406 which in no time takes you to the mountain hut Rifugio San Pietro. To shorten the hike, follow the sign SAT 406 from Canale di Tenno towards Monte Calino / Rifugio San Pietro. If you want to cut the hike short before the San Pietro hut or get back down after sleeping over in the hut you can always get back to where you started from by bus from Ville del Monte or Tenno. The trail SAT 402/404, the departure point for this trek, is in via Monte Oro, near the covered car park.